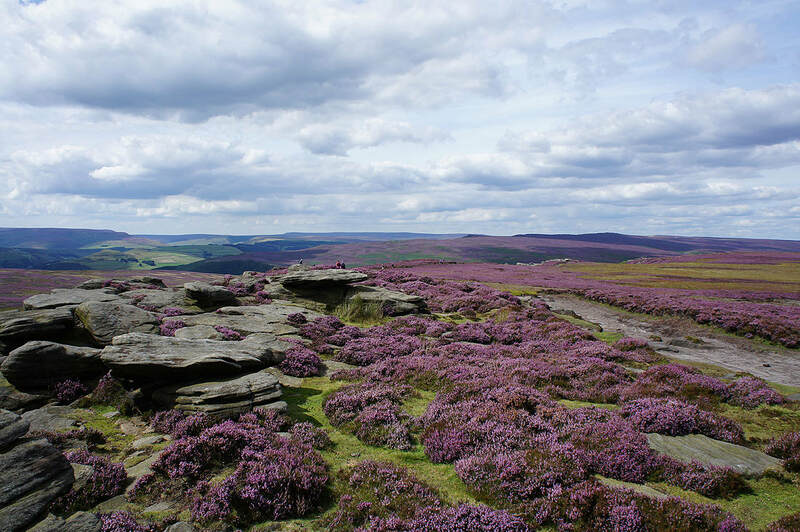 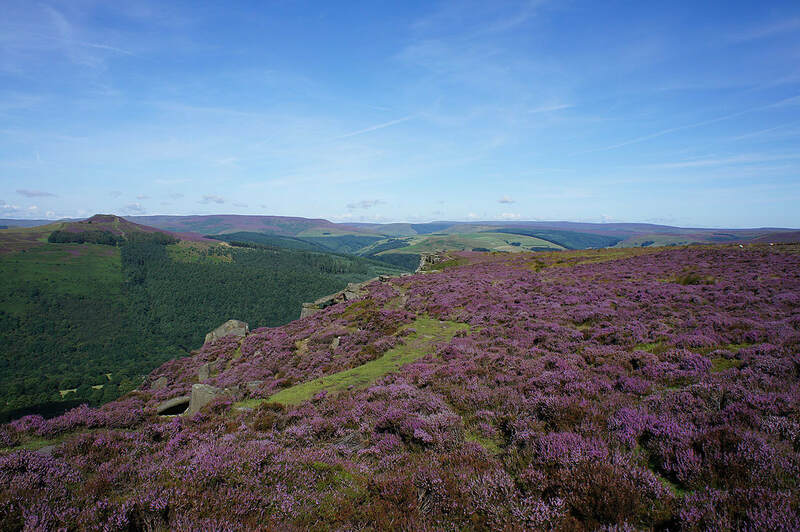 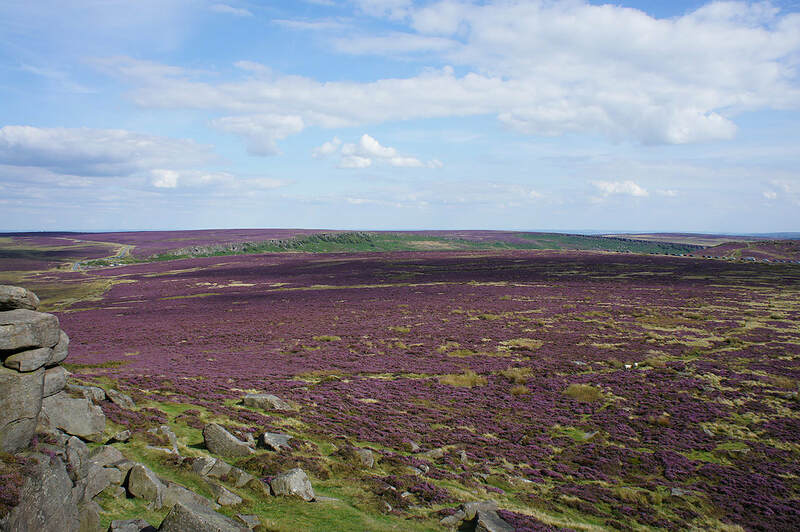 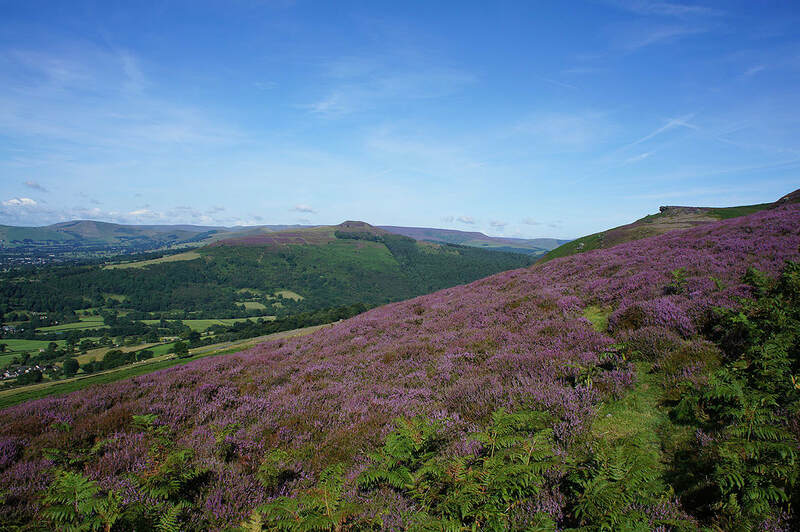 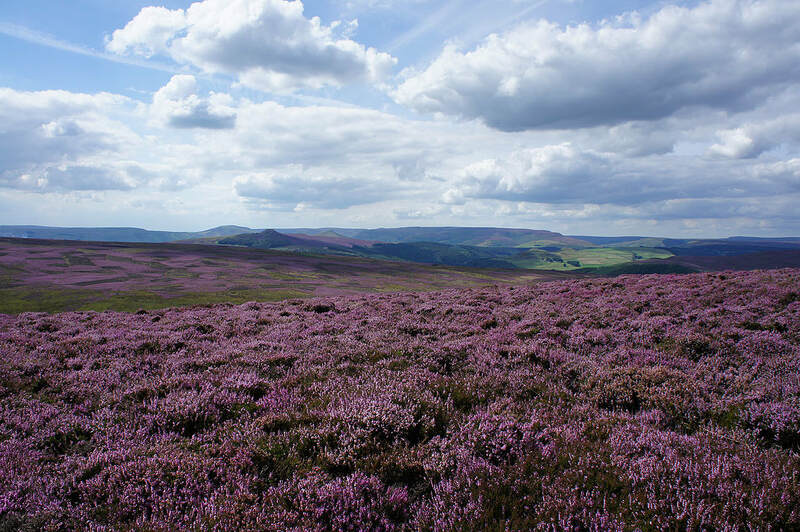 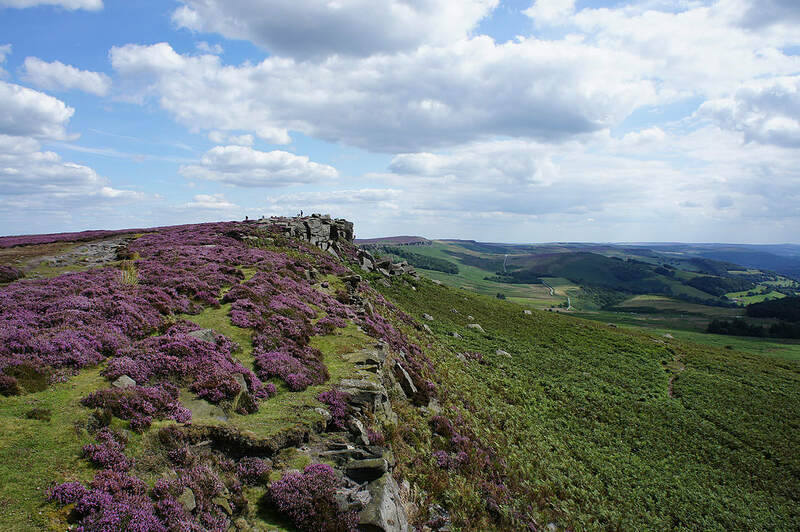 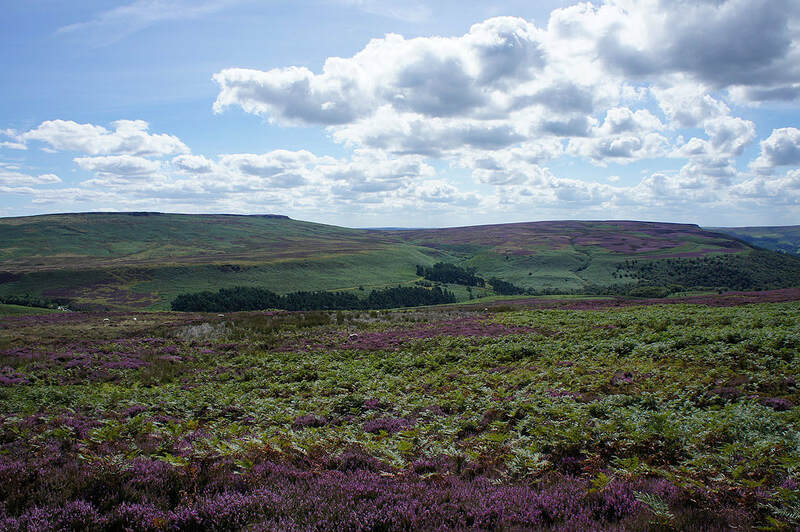 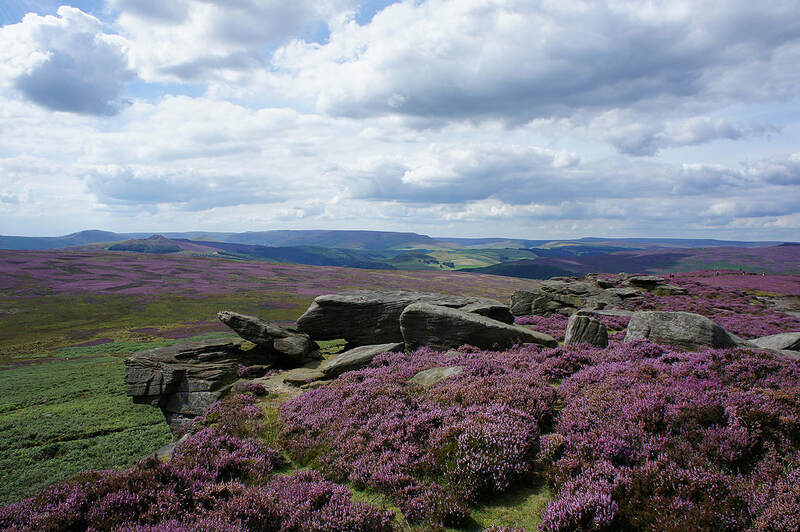 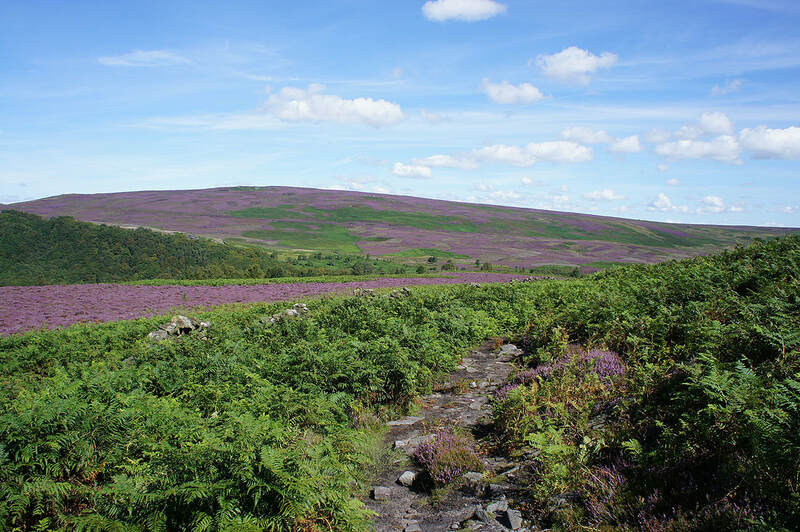 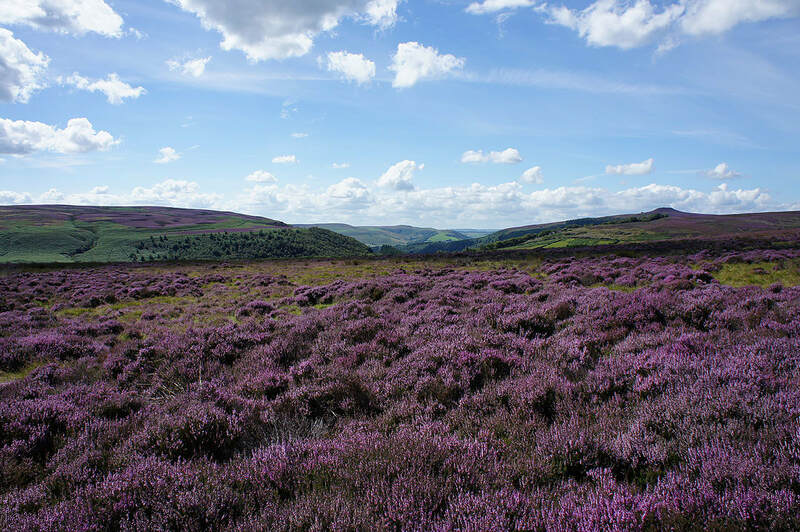 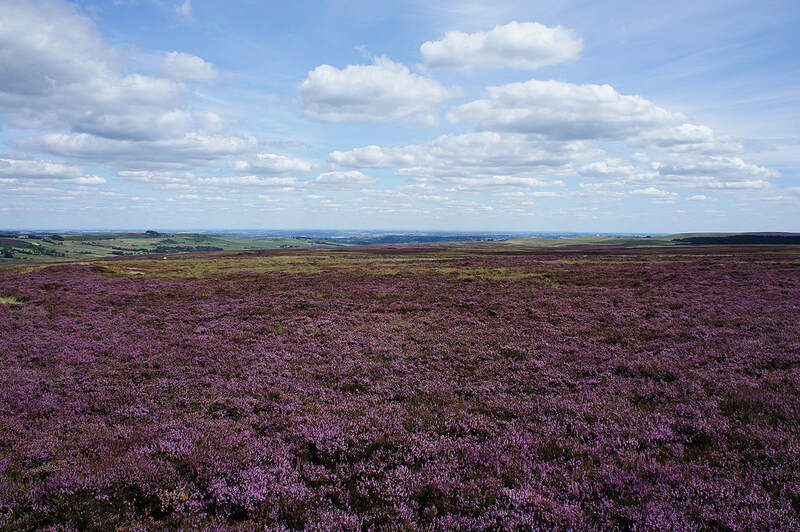 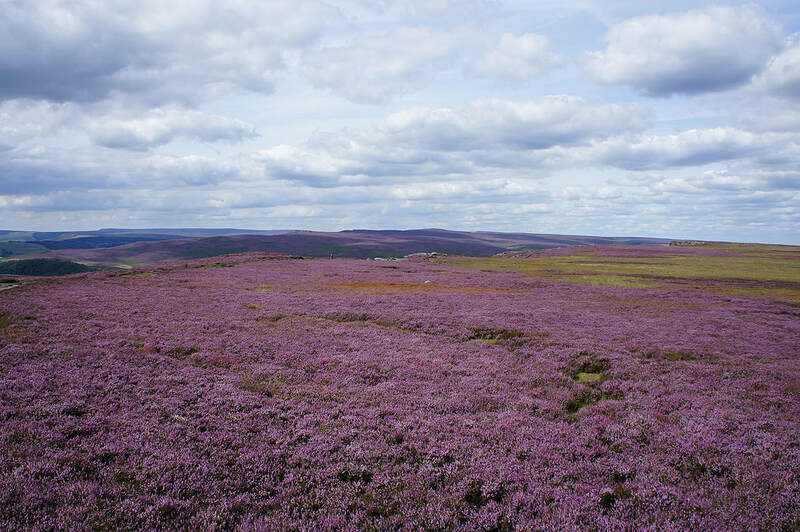 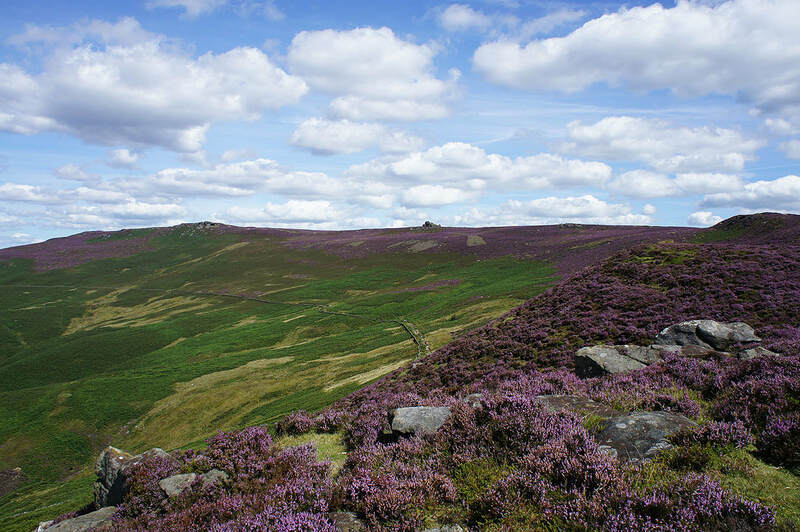 It's the middle of August and I'm doing a walk in the Peak District, so that must mean that the heather is in bloom. 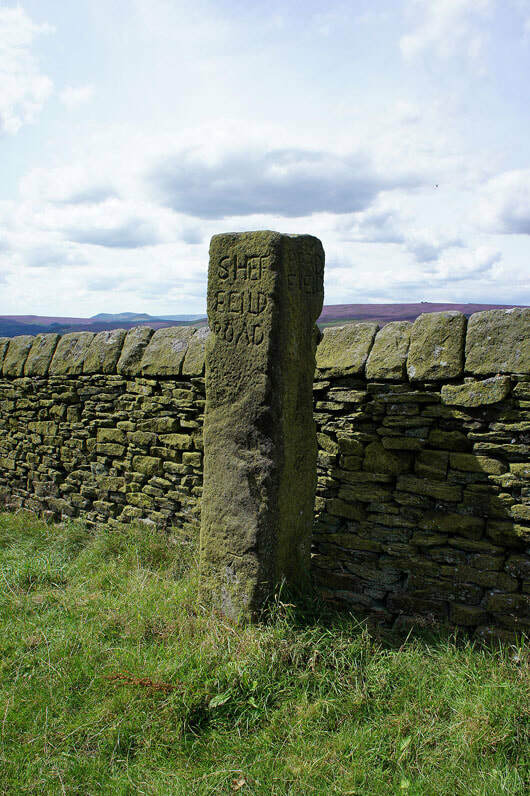 It certainly is this year. 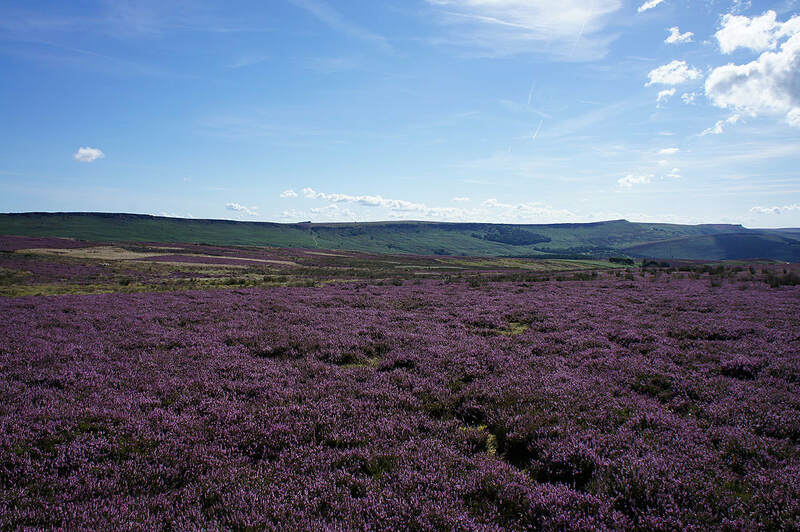 I caught it in full bloom today and with a beautiful summer's day for taking it in I had a thoroughly enjoyable day out. 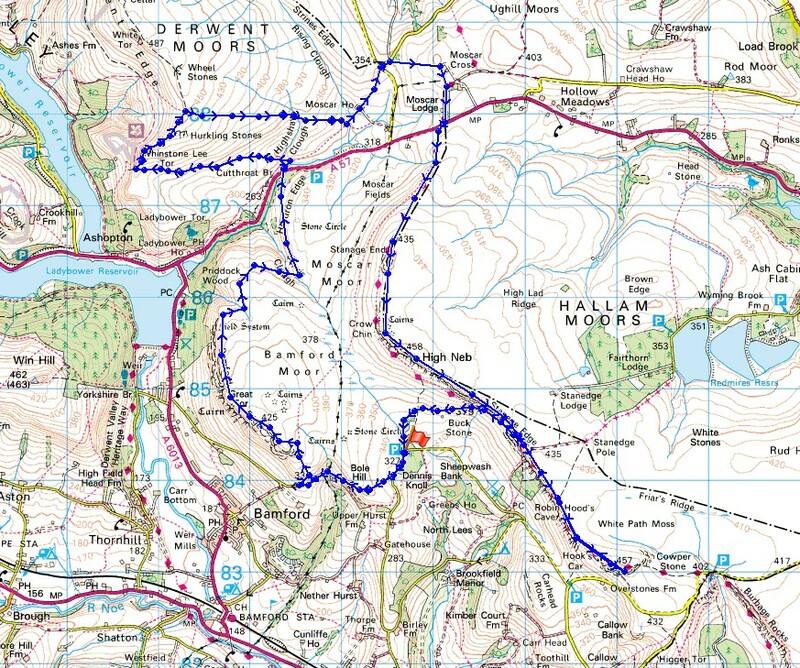 The route I decided on today really made the most of it. 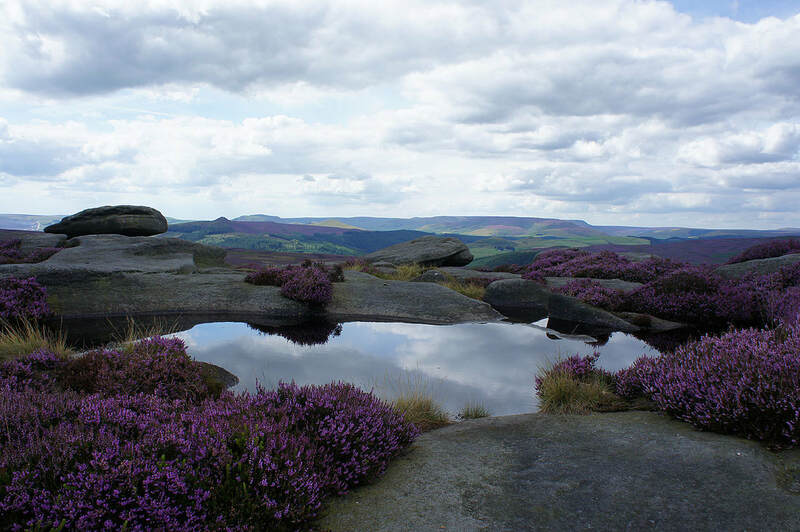 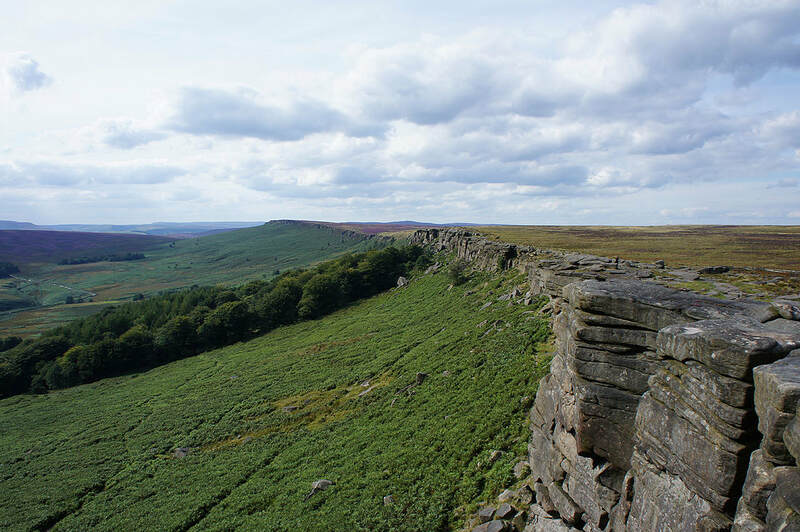 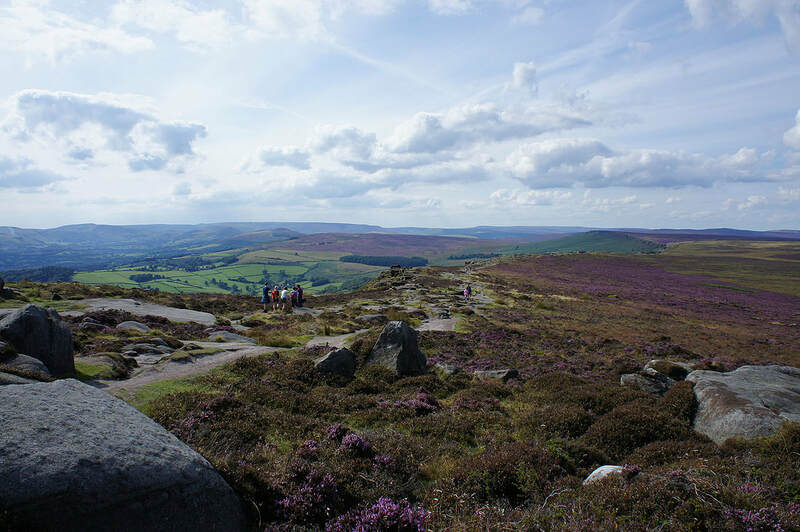 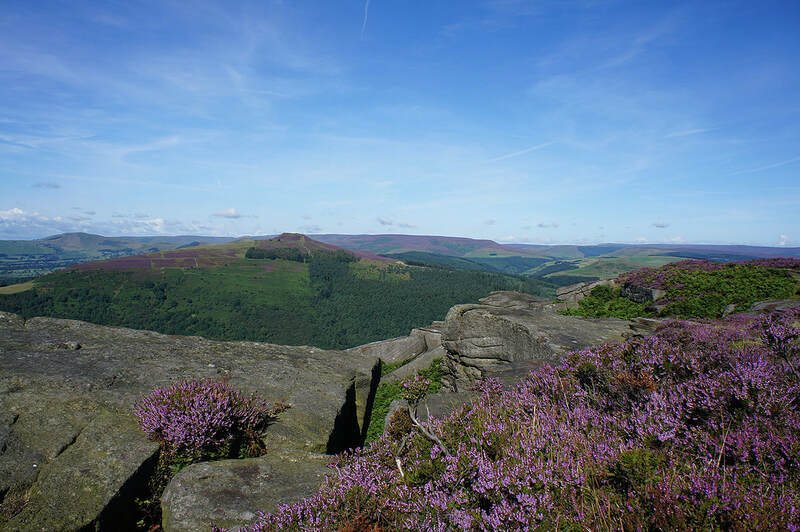 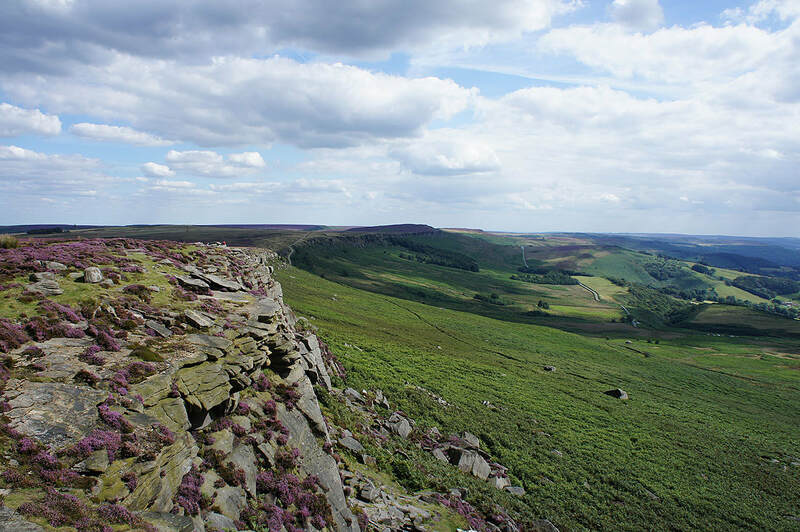 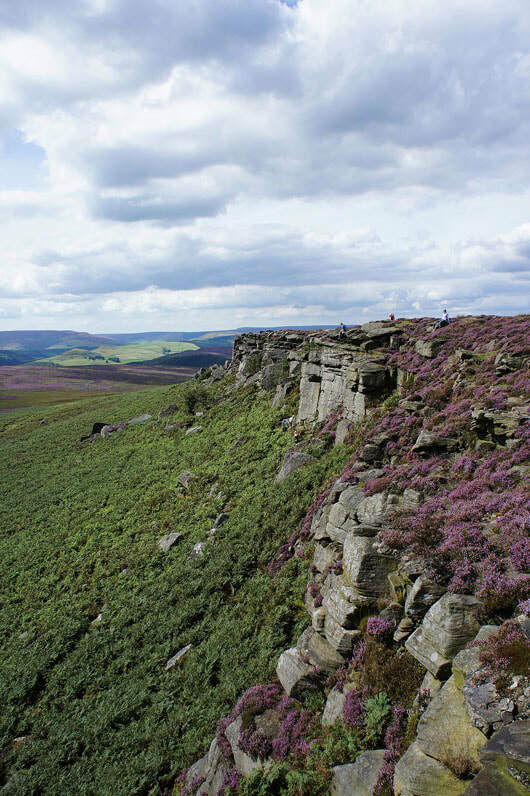 This is the fourth year in a row that I've walked along Stanage Edge with my first visit in 2013 but I'd only done Bamford Edge just the once in 2014 so another visit was due. 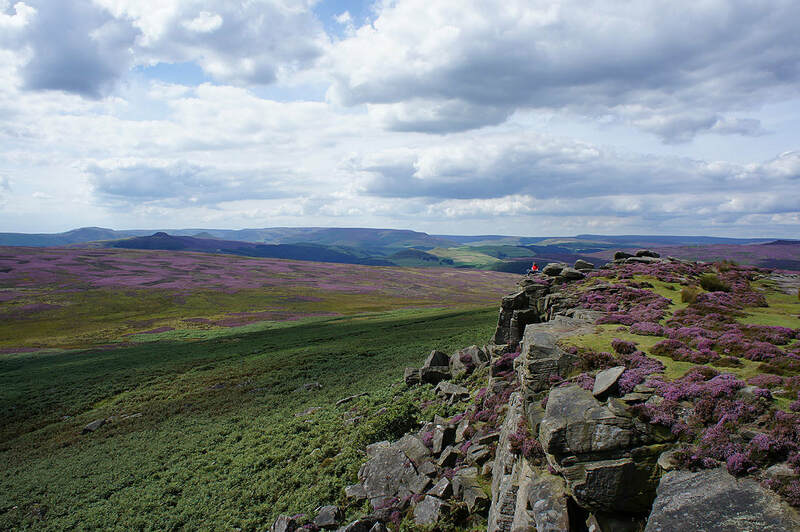 I more or less ended up doing the walk that I did in 2014 when I combined both edges but with an added extra of a bit of Derwent Edge to take in the view from Whinstone Lee Tor. 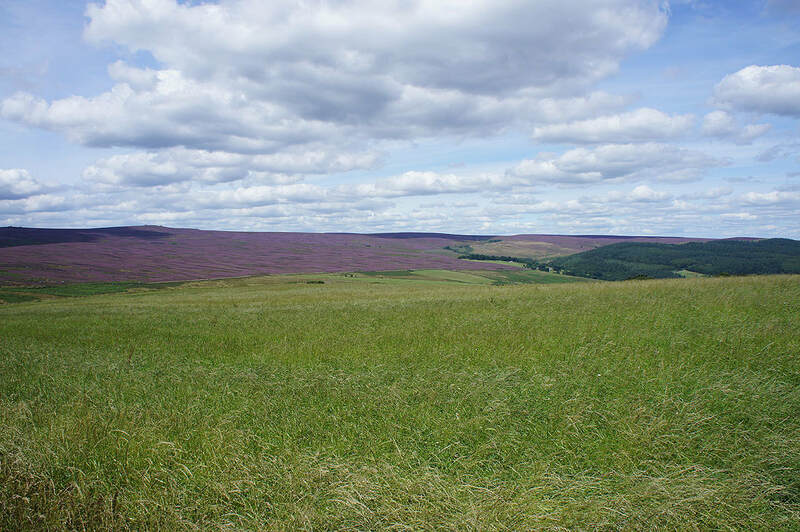 Sometimes the number of photos that I take is an indicator of how good a day it was and today I took nearly twice the number that I used in my report. 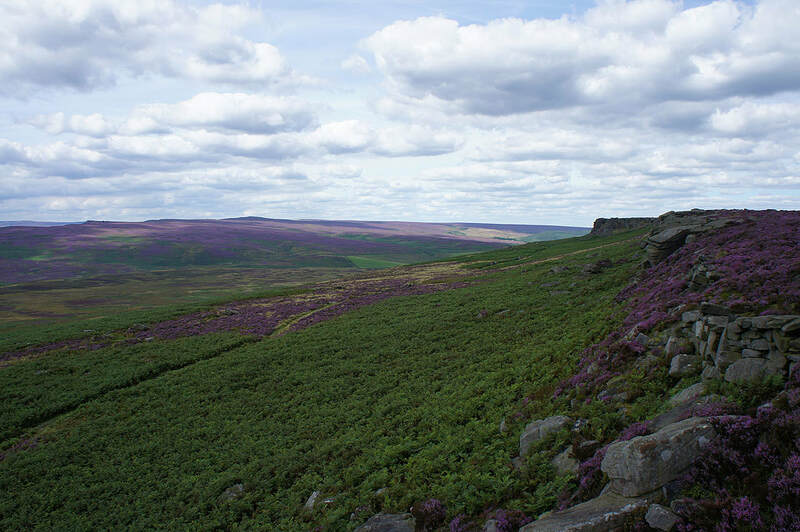 It certainly must have been a good day. 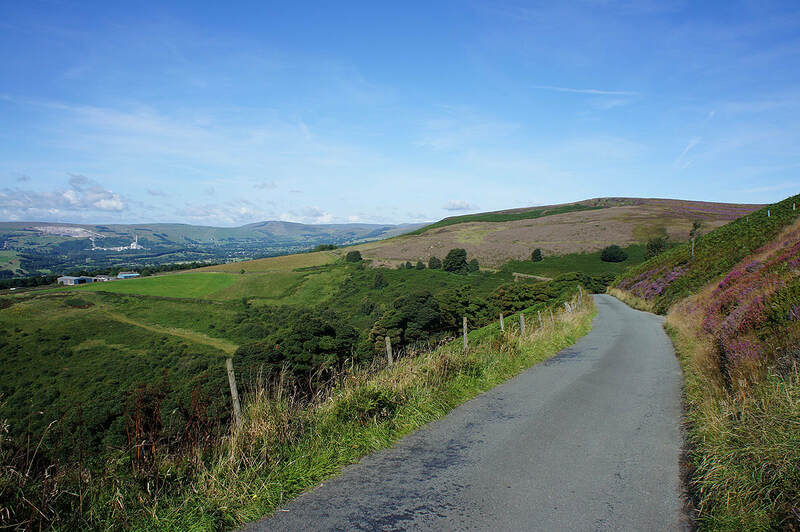 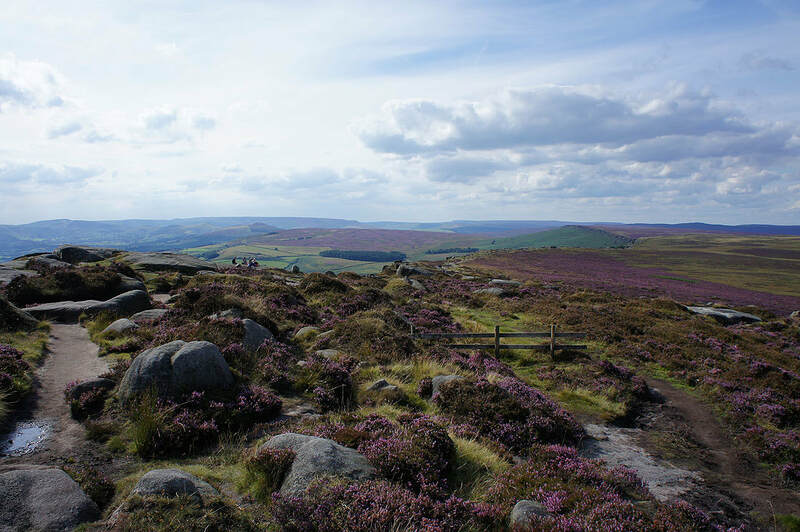 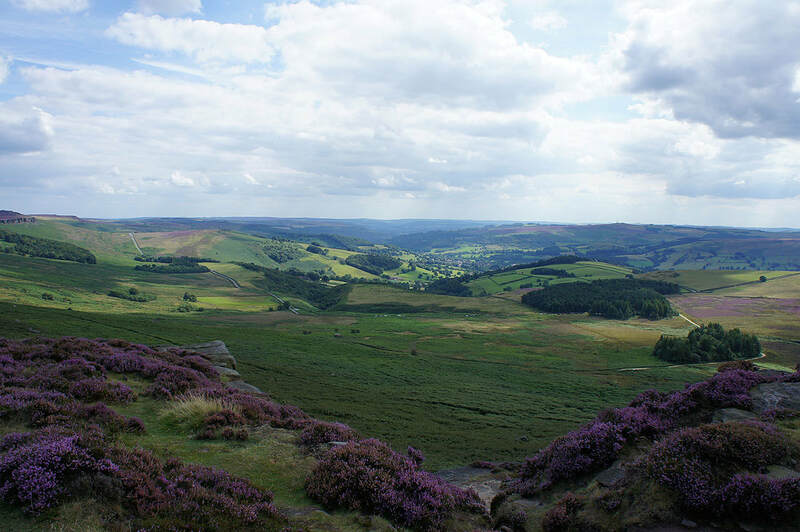 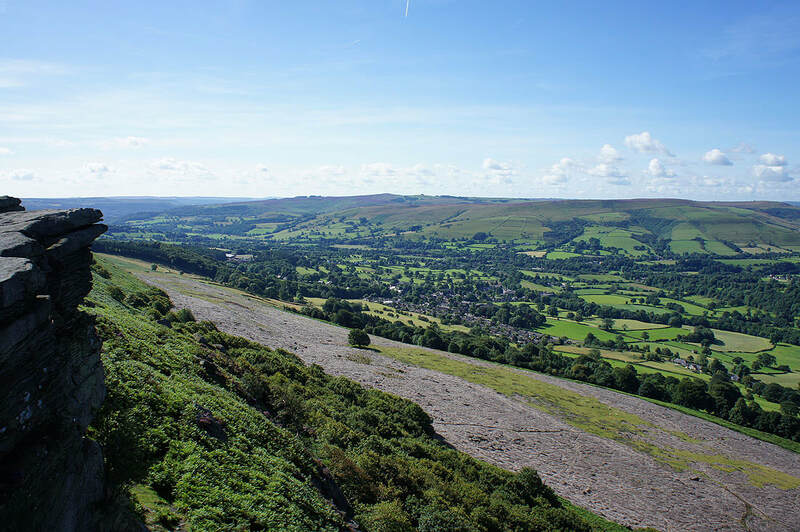 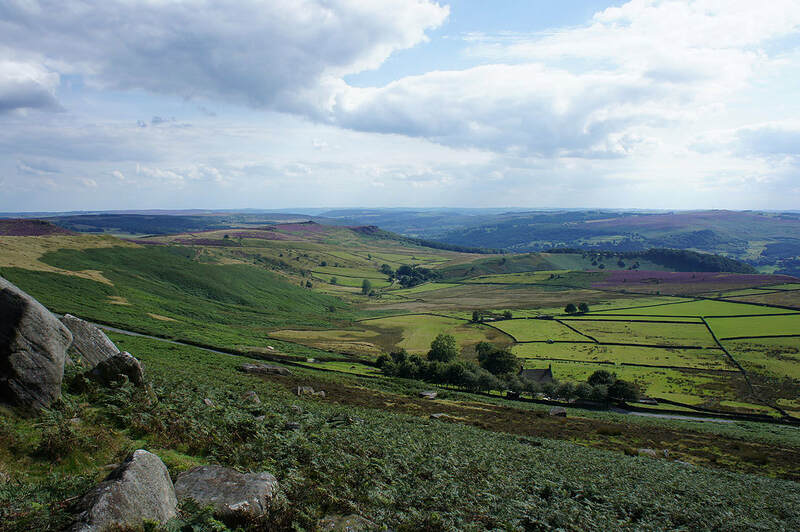 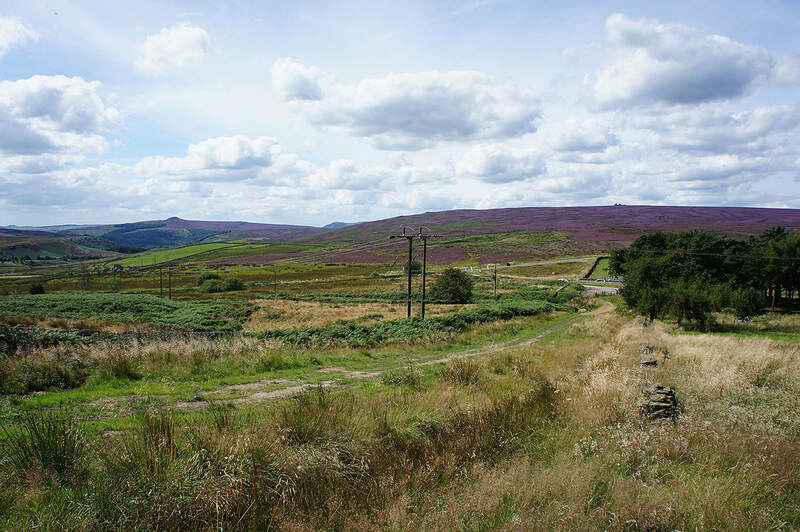 From the car park at Dennis Knoll I walked south down the road to a junction where I turned right and followed the road across the side of Bole Hill to reach the footpath up onto Bamford Moor and then Bamford Edge. 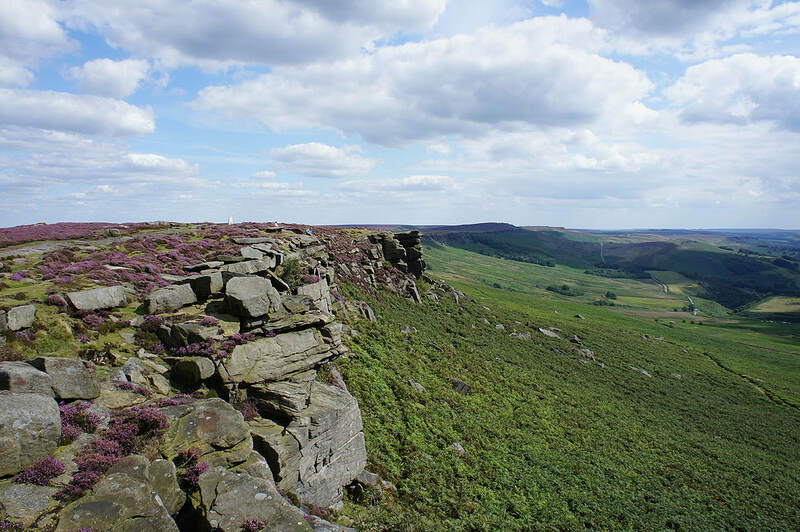 I then kept to the path along Bamford Edge, across Bamford Moor, down to and across Jarvis Clough and onto a track to Cutthroat Bridge. 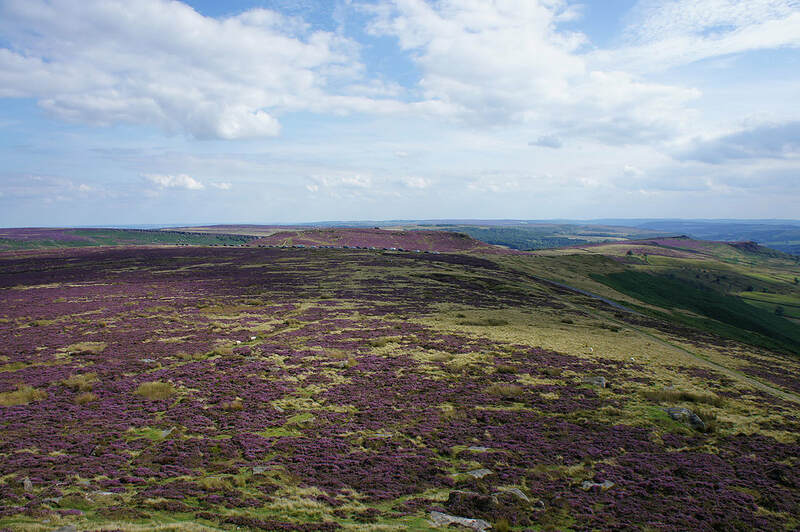 I then crossed the A57 and followed the bridleway west towards Derwent Edge, where I had a brief walk north along the edge past Whinstone Lee Tor before turning right and taking the footpath to Moscar. 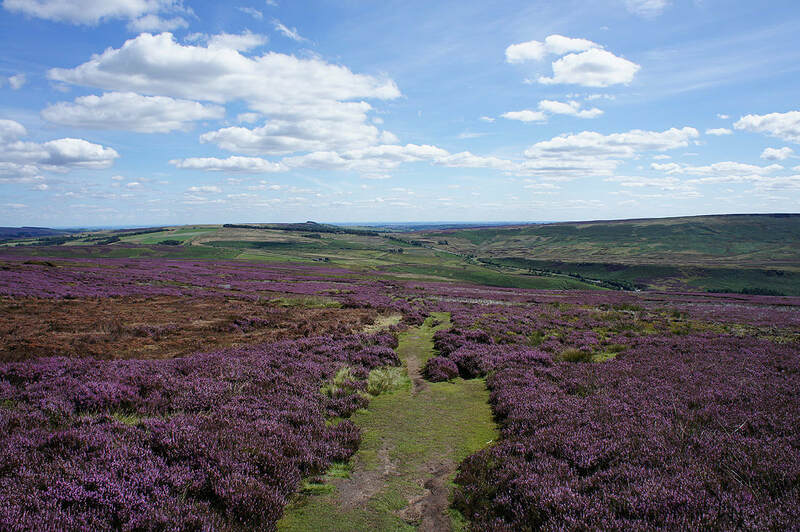 I then turned left onto the path past Moscar House, crossed Mortimer Road to Sugworth Road and took the Moscar Cross Road past Moscar Lodge to the A57. 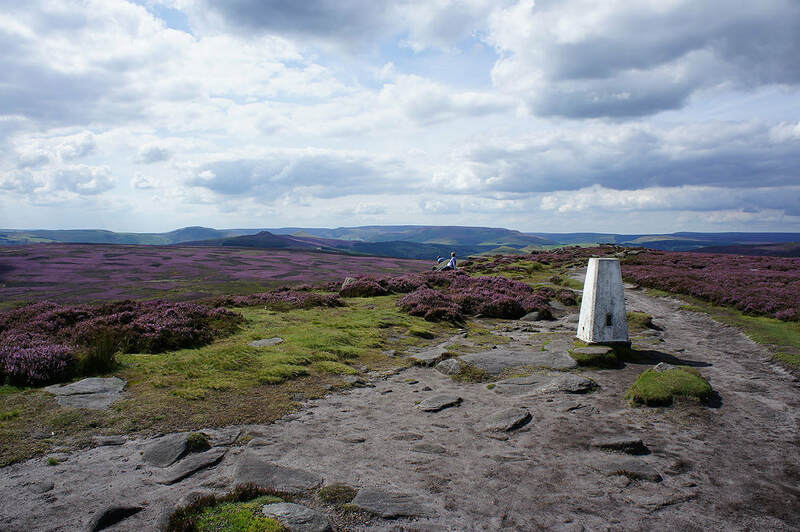 After crossing the A57 I followed the path south up to Stanage End. 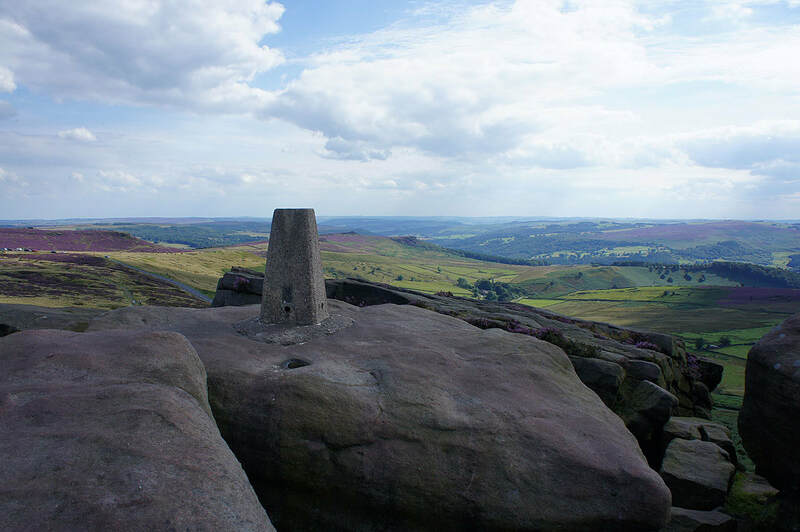 I then had the walk along the length of Stanage Edge to do, past the trig point at High Neb to the trig point at its far end. 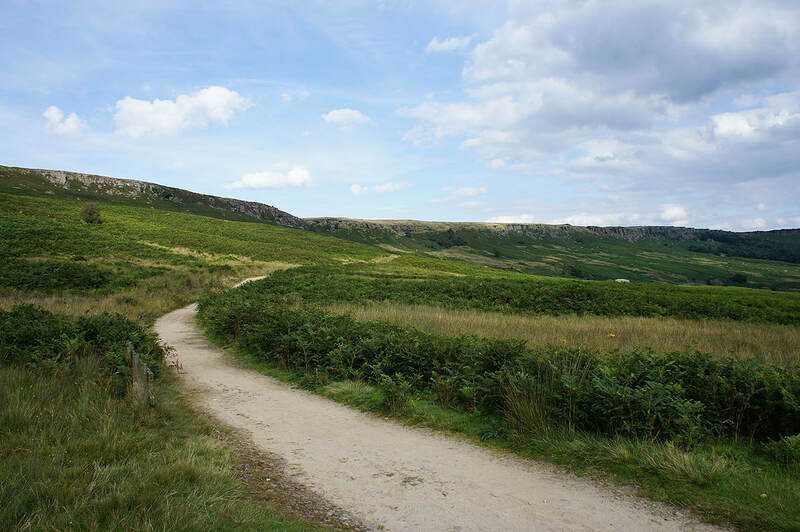 From there I retraced my steps to the take the Long Causeway back to the car park. 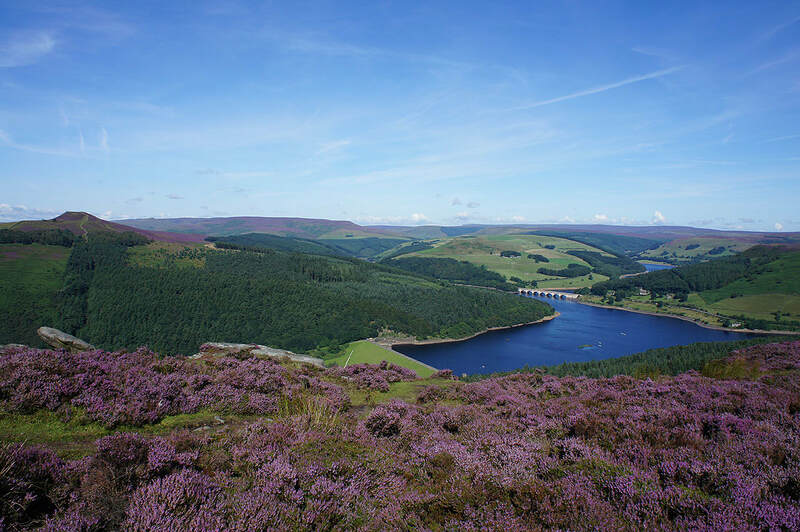 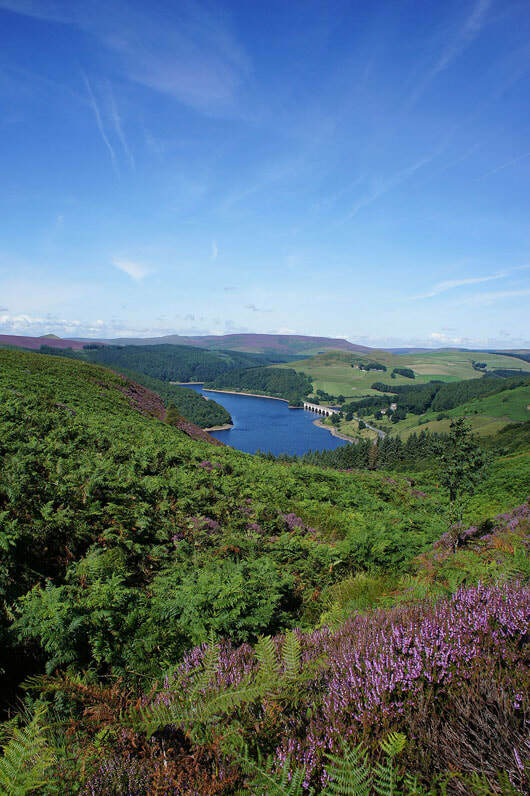 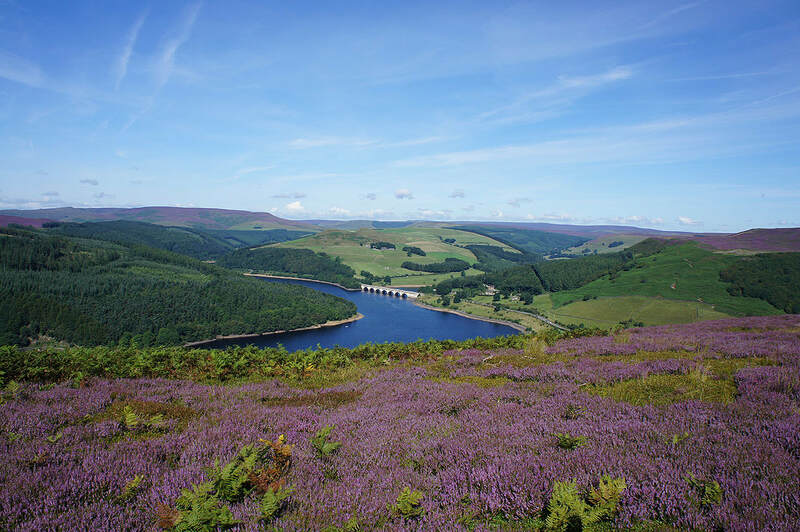 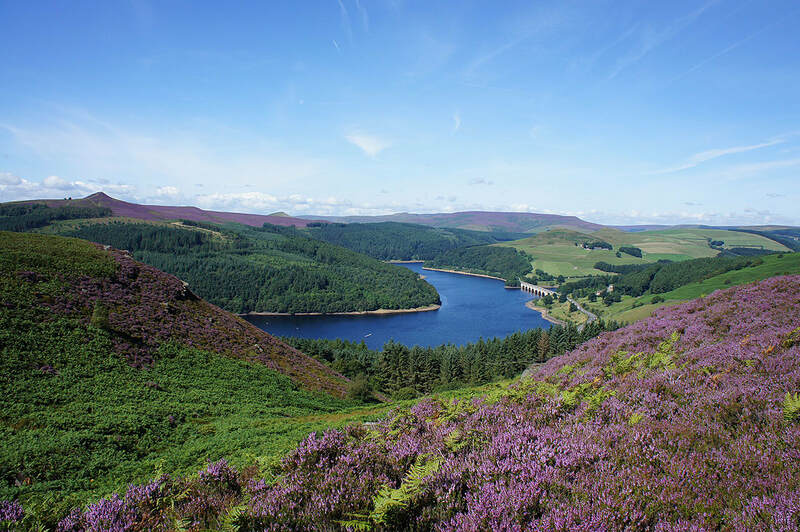 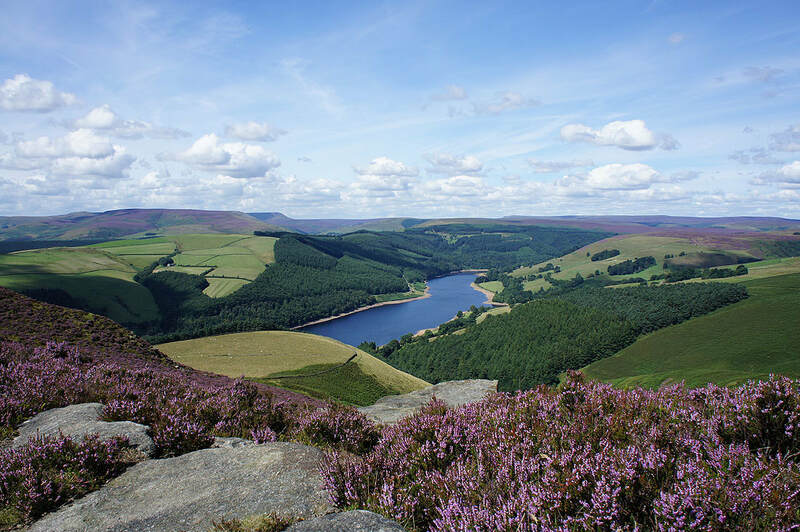 Another couple of photos of Ladybower Reservoir and the surrounding moors as I make my way north along Bamford Edge..
Ladybower Reservoir and the Woodlands Valley to Kinder Scout..
Bamford Moor on the left and Win Hill on the right as I follow the path to Whinstone Lee Tor. 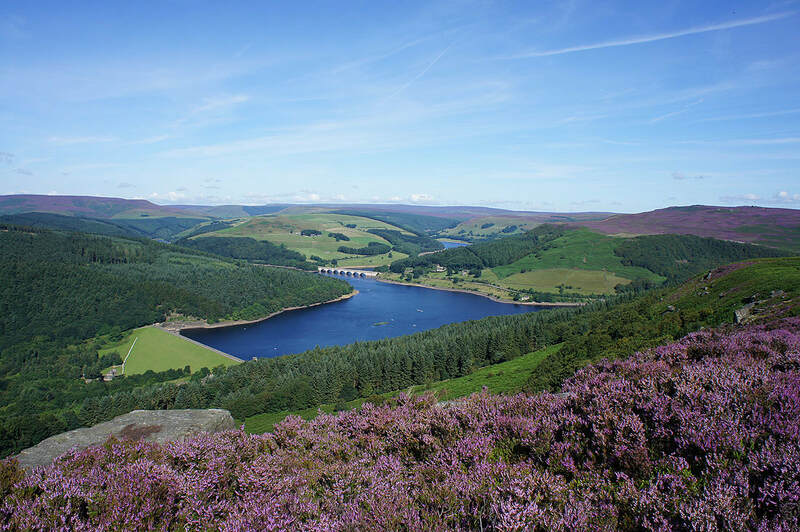 An impromptu visit but worth it for the view today. 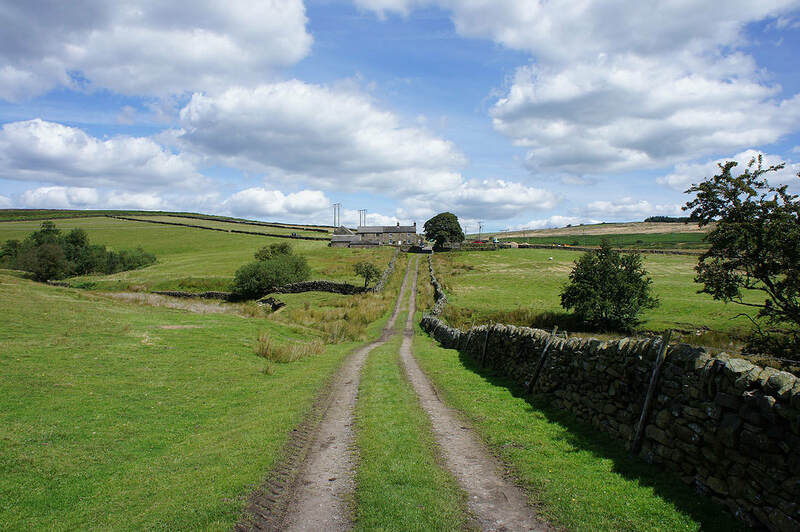 The sun comes back out as I approach.. 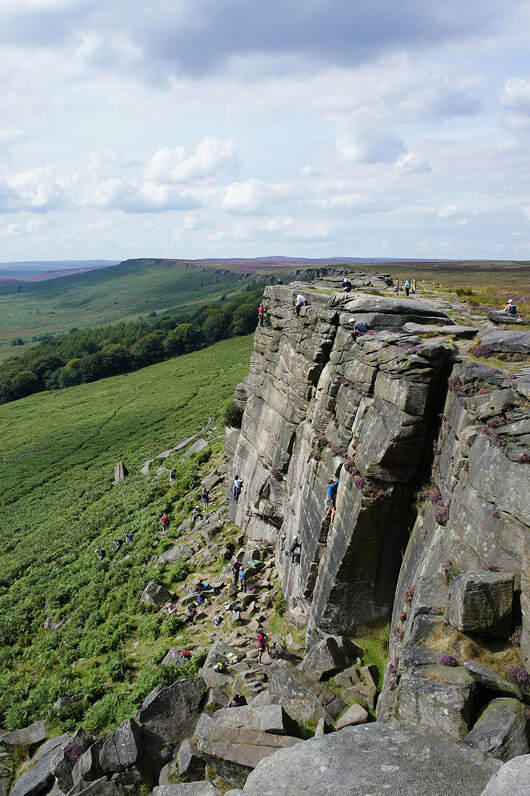 There were a few climbers tackling the crags here, though it's far busier further south..
A fantastic view as I reach the southern end of Stanage Edge. 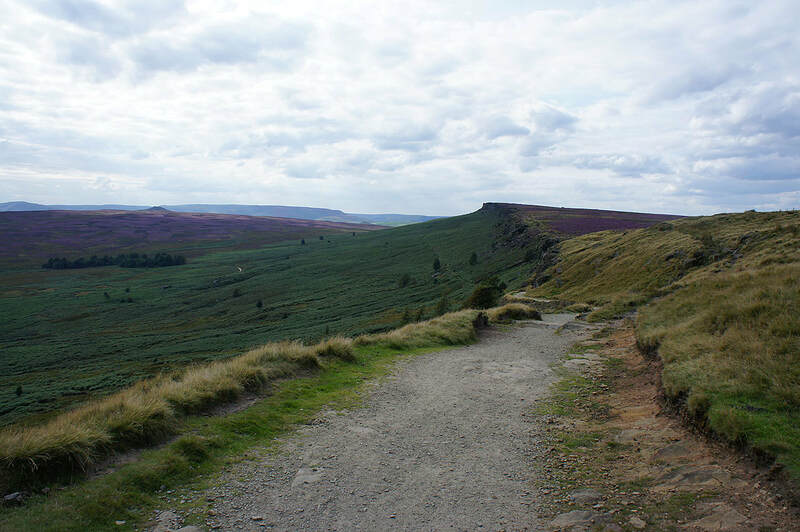 Mam Tor, the Hope Valley, Win Hill, Kinder Scout and Bamford Moor with Bleaklow in the far distance on the right. 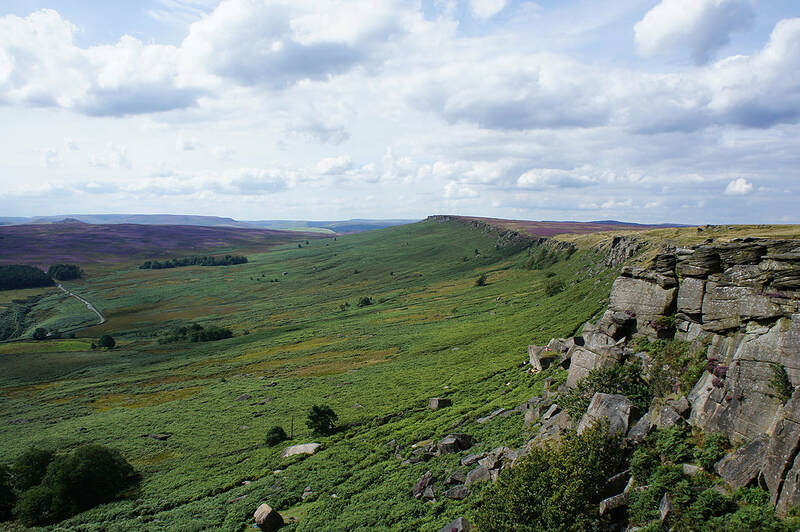 As I head back north along Stanage Edge I can't resist taking another couple of photos..